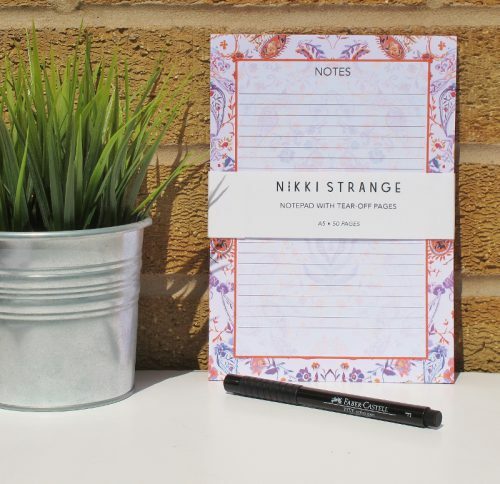 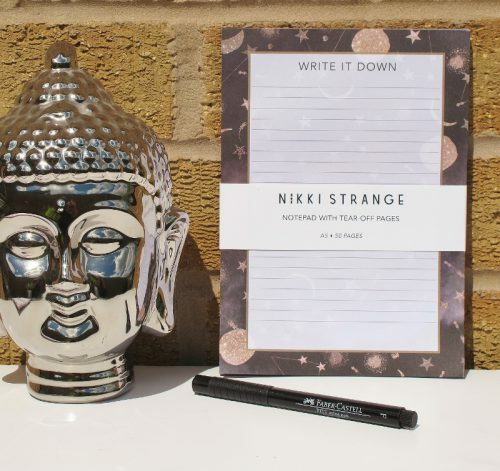 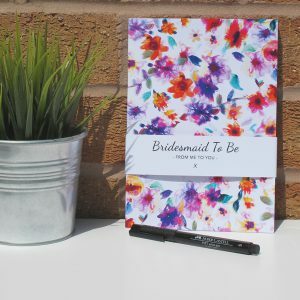 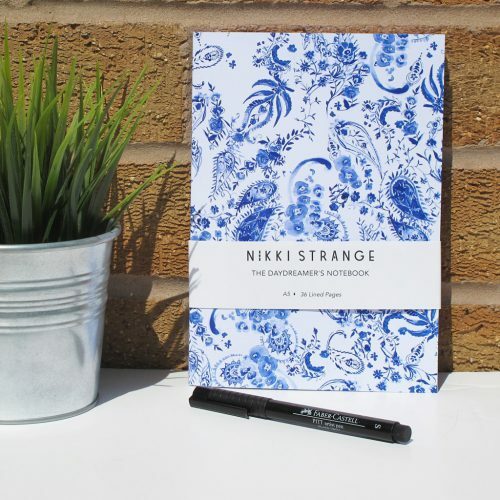 Our special bridesmaid notebooks are perfect for jotting down plans and ideas for the big day. 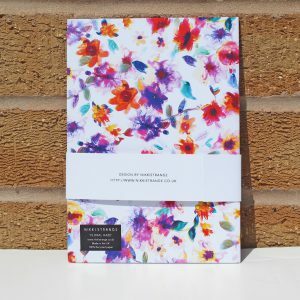 With each book’s watercolour floral design, these notebooks make a fantastic gift as part of a Bridesmaid gift kit. Each book comes with a paper band with ‘Bridesmaid To Be’ on the front. The inside of the book contains 36 plain white pages. 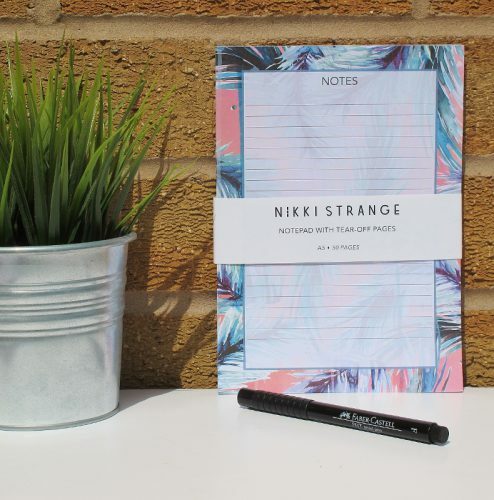 Each notebook comes with its own removable band and is sealed securely in a cello bag.